With origins on Kickstarter, the Zuli Smartplug is a device that acts as a buffer between a wall outlet and any electronic device, letting users control the connected appliance through a smartphone app. Today the company announced that it will be integrating that app with the popular Philips Hue lighting system, letting users interact with Hue lights directly within the Zuli app. The synthesis between Zuli and Hue will also let the latter tap into the former's proprietary motion-sensing technology referred to as "Presence." With it, the Zuli Smartplug can detect when a user enters and leaves a room, adjusting and adapting to pre-set personal lighting preferences. When the room is left abandoned, the smartplug recognizes that too, and everything shuts off. Presence is designed to evolve over time and become "more predictive" with extended use. This "indoor location awareness" will now be available for Hue owners who invest in Zuli, and will give those users the ability to have all of their customized room-based scenes react to their entry into a room. The lighting systems housing the Hue bulbs do not need to be plugged directly into a Zuli Smartplug for the two to interact with one another, since Hue simply networks with Zuli after an initial system sync. Zuli launched with another notable partnership in Nest, letting customers connect the learning thermostat to a Zuli Smartplug to notify the system when users enter and leave the house and adjust the temperature accordingly. As of now, there is no HomeKit integration or functionality with Zuli. 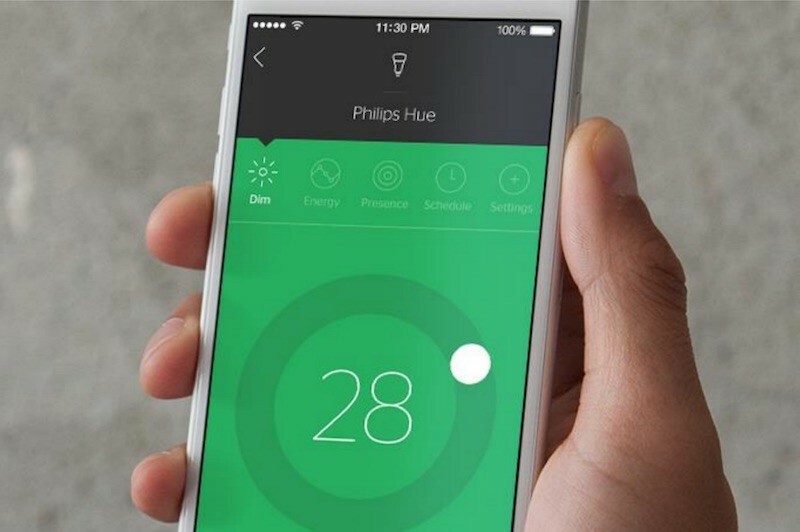 Hue users can test out Zuli's integration of the Philips lighting system by downloading the Zuli app [Direct Link] on the App Store. For anyone interested in all of Zuli's features, three Zuli Smartplugs are required to harness the full power of Presence. To start, users can purchase a 3-pack of the Zuli Smartplugs for $159.99 on the company's website. To piggyback on lowercaseperson's request for clarification, so once I setup my Hue Lightstrips with this in my kitchen, I can have one of these Presence sensors plugged into the kitchen, but the light strips can be plugged into a different different outlets, and those Lightstrips will still turn on? Zuli plugged into outlet A, Lightstrips on different sides of the kitchen plugged into outlets B & C.
That is correct. The Hue bulbs and the device they are connected to (or the lightstrips themselves, as you said) do NOT have to be plugged directly into the Zuli Smartplug. I asked the company directly about this, and they confirmed. Zuli simply networks with Hue once everything is connected within the app.